Back in October last year, I went to Amsterdam for my 22nd birthday and for a city break, I had been to Amsterdam before (see posts here) although only for 48 hours but I fell in love with the city then even though it was just a very short trip so I decided I needed to come back in the future. Which brings us to this post. 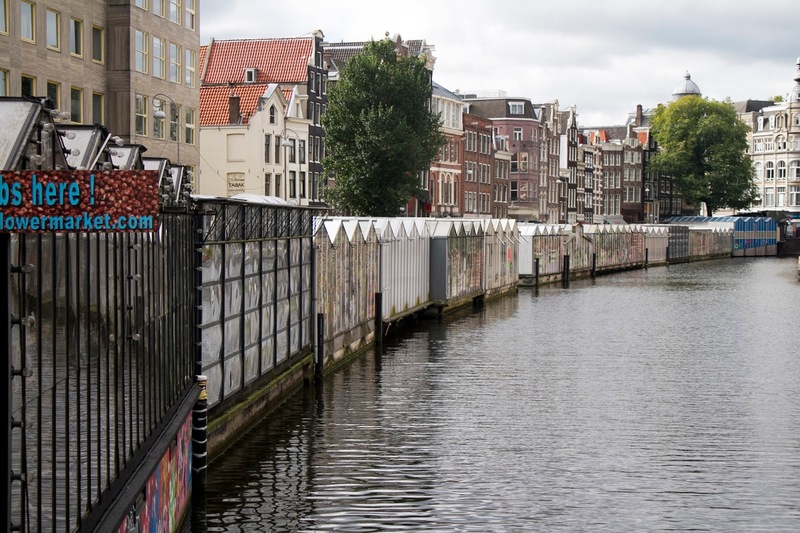 This time I stayed for longer, a week to be exact, which turned out to be plenty of time to see and do things which I didn't get a chance to on my first trip so now I would like to share a more comprehensive guide with more places and things to see and do in the city for those future city hoppers to the Dam. 1.) 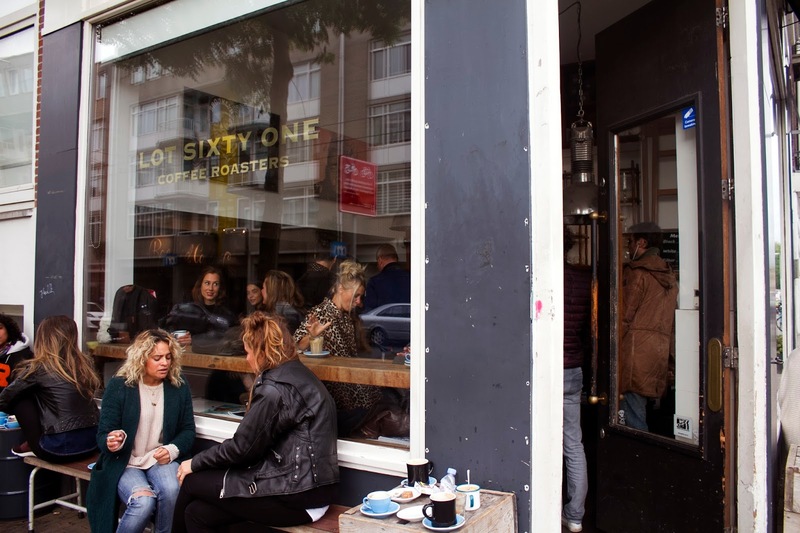 Lot Sixty One - this cafe was suggested to me by my boyfriend who also has a fair share of experience in the city having visited 3 times now. The cafe was very busy when we got there but apparently it always is and that alone should tell you how good the coffee is already. They only serve coffee and a few pastries and cakes but both of which are so good that it's enough. Being not much of a coffee drinker myself, I found the coffee so satisfying especially on a cold autumn day. But not only the coffee, the cafe itself is very cool. There's a roaster downstairs where they roast their coffees in daily and also a sitting area to the right. 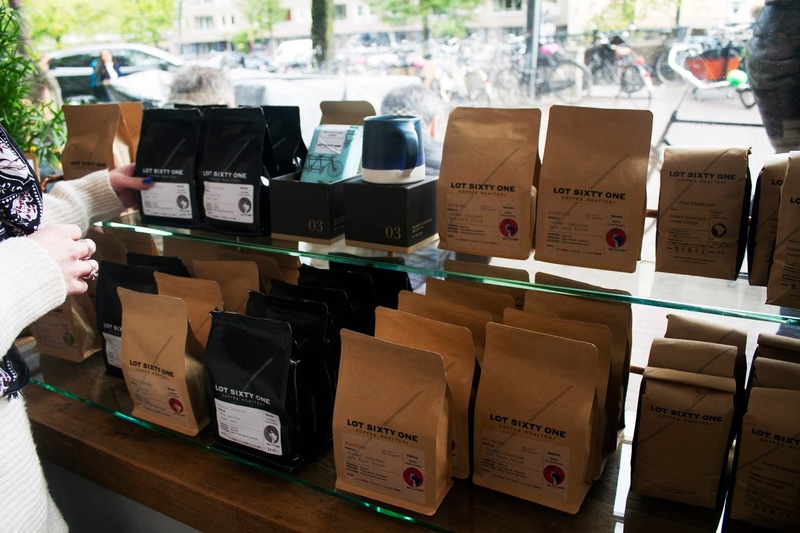 Imagine drinking your coffee whilst smelling fresh coffee beans being roasted right next to you...yes, coffee heaven! They also sell a few different types of their coffee beans, which I actually got one myself and it is so good. Finally, Lot Sixty One also has a mini cafe inside Urban Outfitters by the main street leading to the Central Station which is very convenient for the shoppers out there. 2.) Metropolitan 'The Pastry Room' - another suggestion from the boy, most of the places I will feature in this guide are actually suggested by him thanks to his 3 time visit. 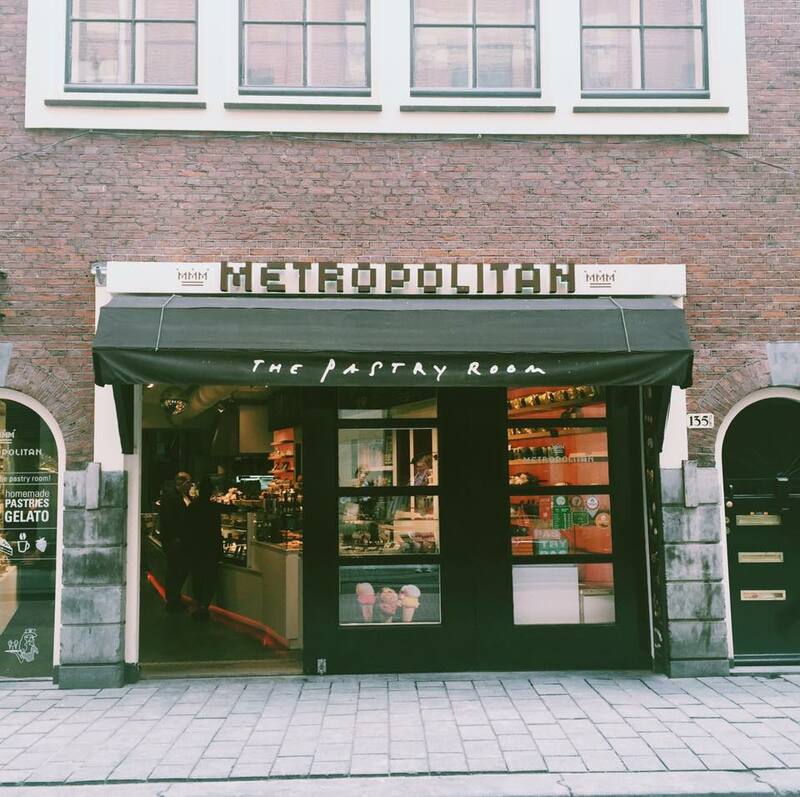 The Metropolitan, located near the Central Station just behind the Red Light District, is very convenient for a quick snack or drink after shopping or touring around the Red Light and with a big array of choices, you'll want to come back again. Everything pastry you may want is here. From chocolates, cakes, waffles and my favourites macarons. 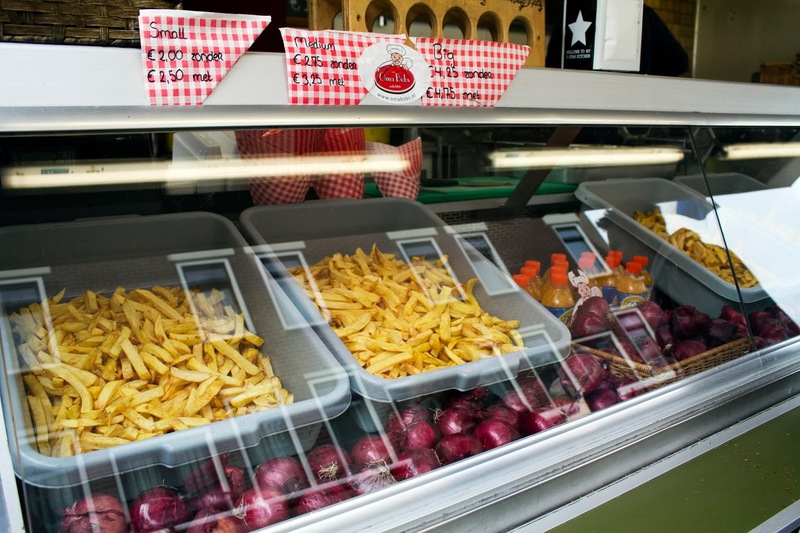 It is also an all around cafe/shop as they serve hot drinks for the colder seasons and a big fridge display of their own gelatos which they give you samples of and even let you choose what flavour you want when you come in and also a list of milkshakes for the warmer days. I had a hot chocolate from here which is by far the best hot chocolate I've tasted still to this day. You can just taste the real taste of cocoa and that is just too yummy. 3.) 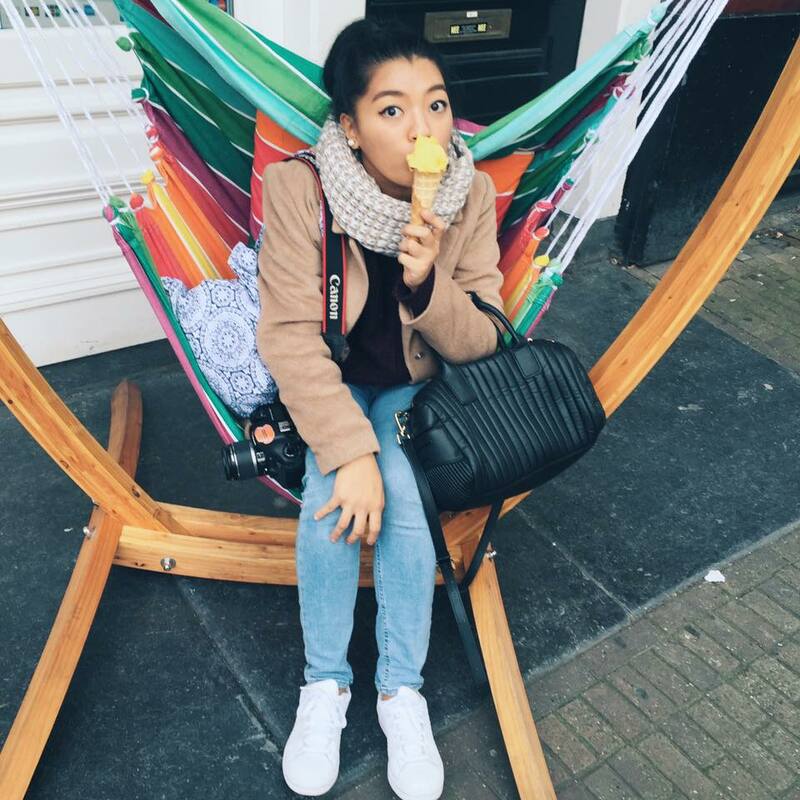 Maranon - walking around the city we came across this hammock shop with a gelato and milkshake cafe by the entrance. Some of their gelatos are home made tropical flavours and if you like hammocks and have the money for good quality and beautiful hammocks then you can kill 2 birds with 1 stone in this shop. 4.) 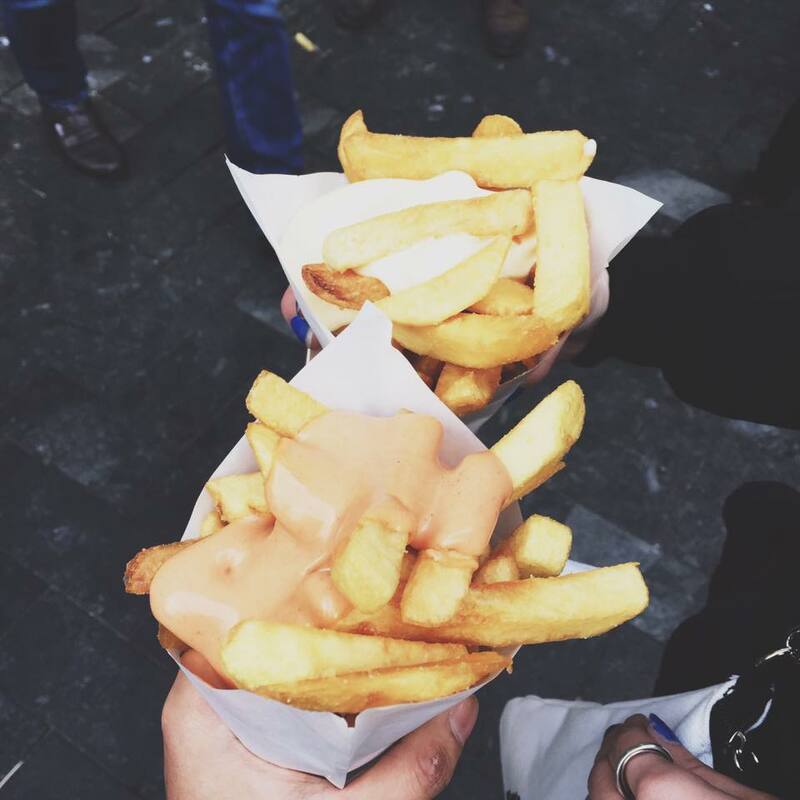 Vlaamse Frites - a frituur (fries shop) with the best fries I've ever had. So crispy and soft at the same time just perfect and with 28 different sauces to choose from you'll need a minute or two to decide. 5.) Pancake Corner - for my birthday breakfast, we decided to have pancakes and went to this place for them. 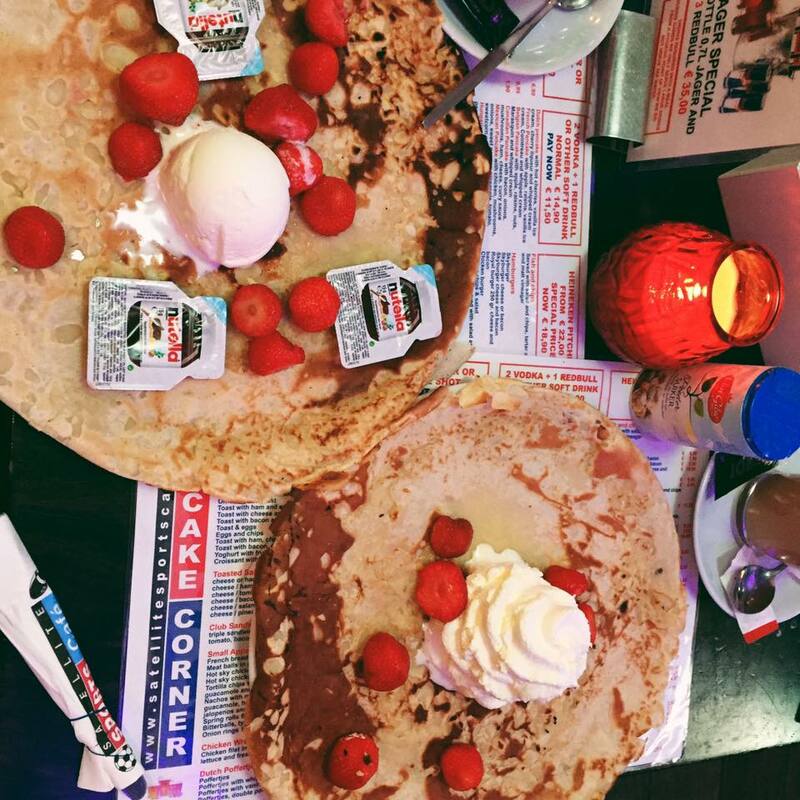 The food is standard but the menu is big with both sweet and savoury and there's loads to choose from especially with the pancake toppings. I chose strawberries, nutella, vanilla icecream and some almond nuts which made for the perfect birthday breakfast pancake. Yum, yum, yum! 6.) Ice Bakery - a suggestion again from the boy. 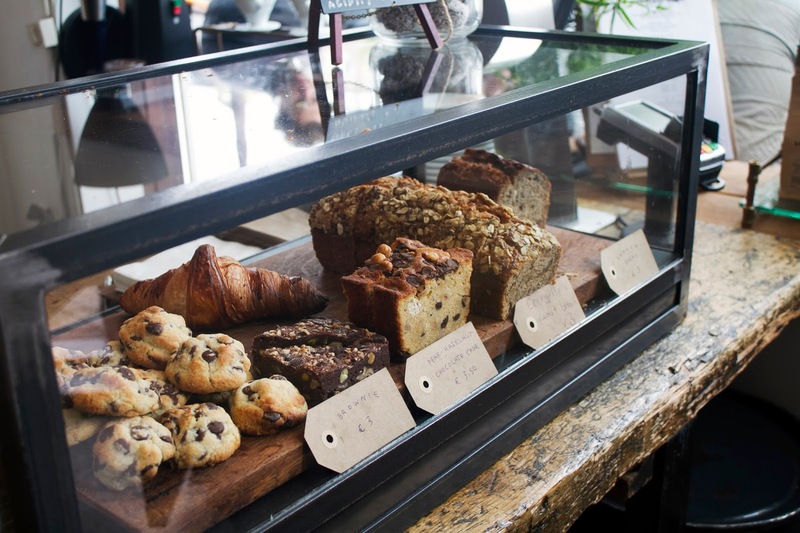 Ice Bakery is what it is, a bakery with all things sweet, definitely a feast for the eyes. From donuts, to waffles with all sorts of toppings, frozen yogurt with all sorts of toppings, etc, etc. 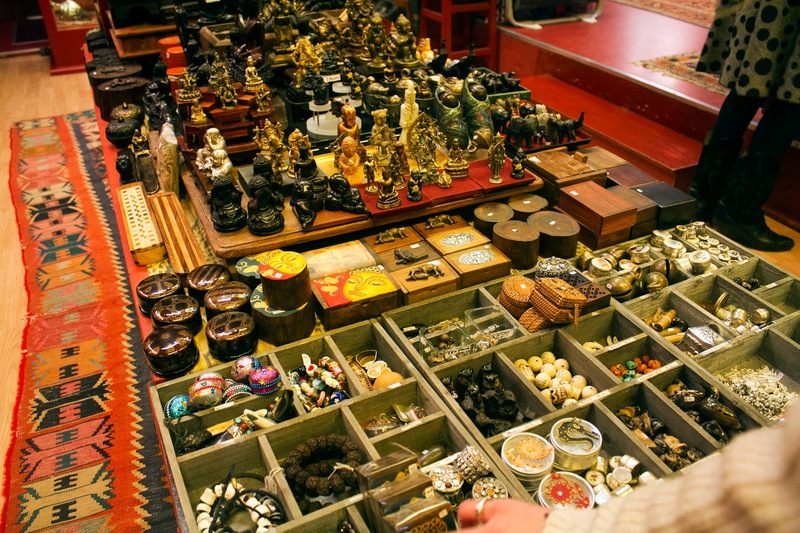 With a shop almost everywhere in the city you will be bound to give in and pop in. When we finally did, we got a frozen yogurt where I actually ended up accidentally putting too much M&Ms in but it was still good nonetheless and with a mixture of berries and dairy, it was just too much that I actually didn't end up finishing it all but definitely would do it all over again. 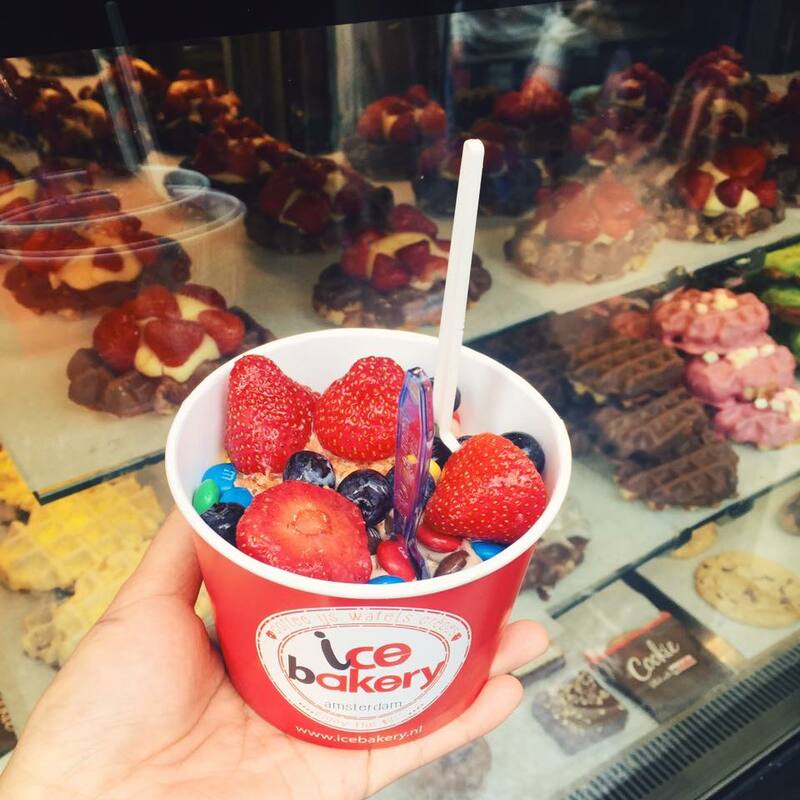 How I wish we had an Ice Bakery here in England! 1.) Simon Livet - we came across this shop on our way to Lot Sixty One. 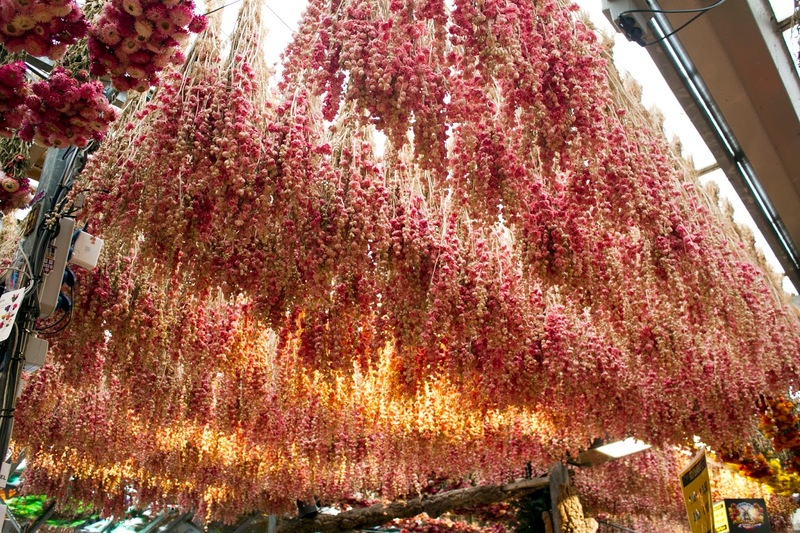 The amazing display of coffee beans and the way the shop just looked so colourful, neat and smelt of coffee just made us instantly decide we needed to come back and check it out. It's a coffee and tea shop with as you would guess, all things coffee and tea related. 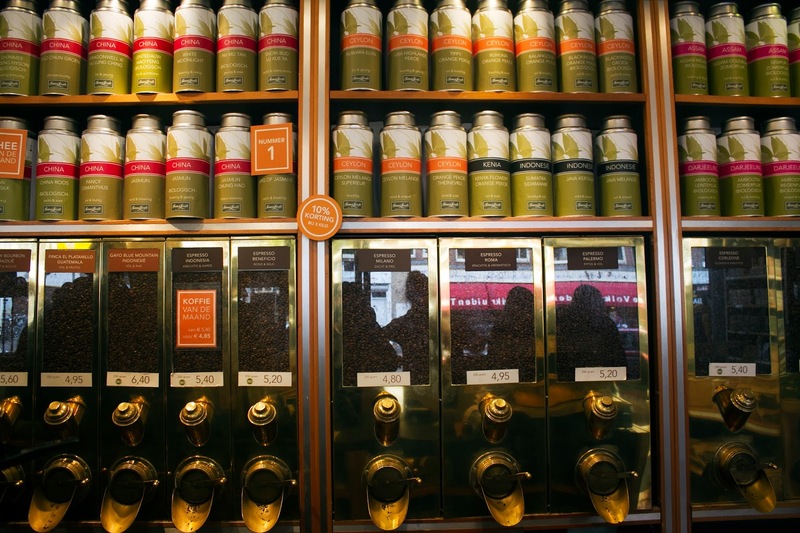 The huge shelf of different coffee beans is just amazing and the way it is distributed in those cool dispensers is just too cool. 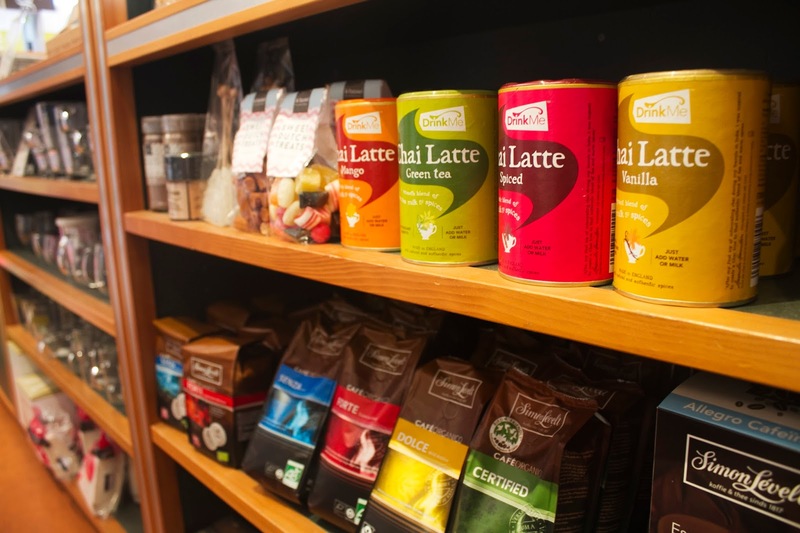 They also have different teas, coffees and even coffee equipment, mugs and tins. It was definitely hard trying to restrain myself from spending too much in this shop since I'm an avid tea drinker and the boy a coffee lover. Although I did buy a chocolate flavoured coffee for the boy which I tried too and it definitely did not disappoint as it did taste of coffee with hint of chocolate too, yum! 2.) Ten Katemarkt - a market we just happen to have come across as we were walking around the city and around the neighbourhood of Lot Sixty One. 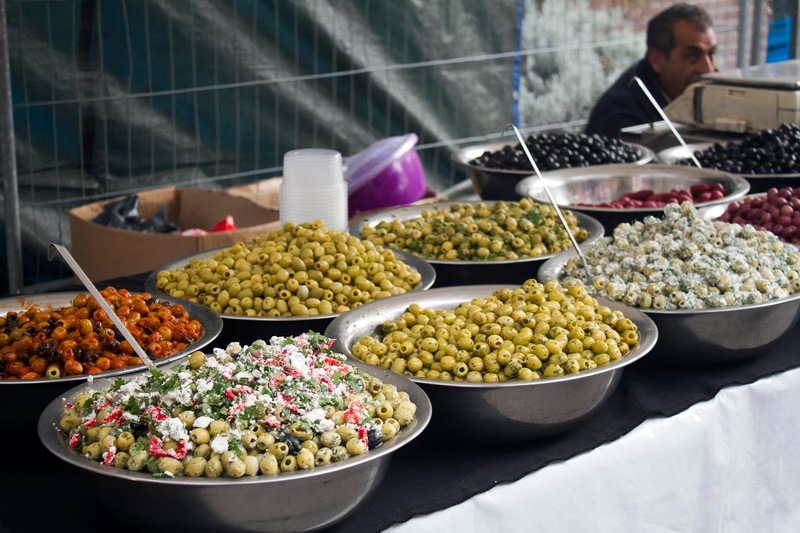 With food, clothing and even gadget stalls there's something for everybody. 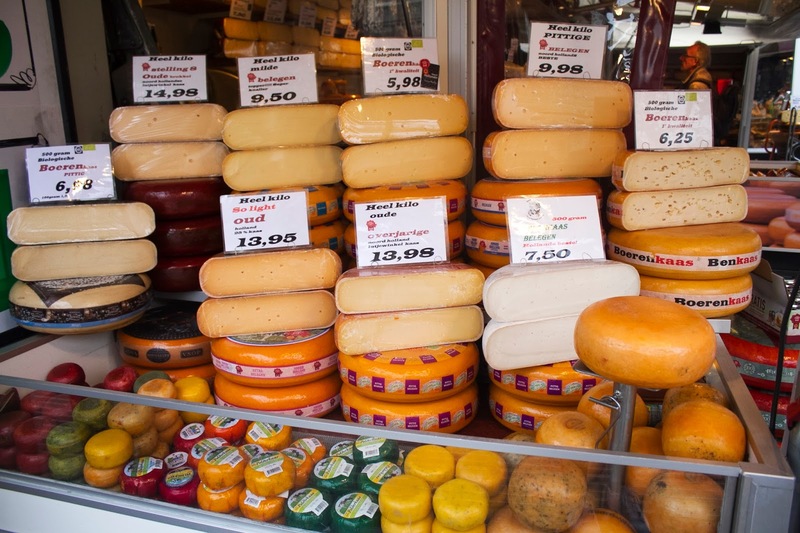 With the different types of stalls available it is a genuine feast for the eyes like this cheese display and right across it a stall of flowers. 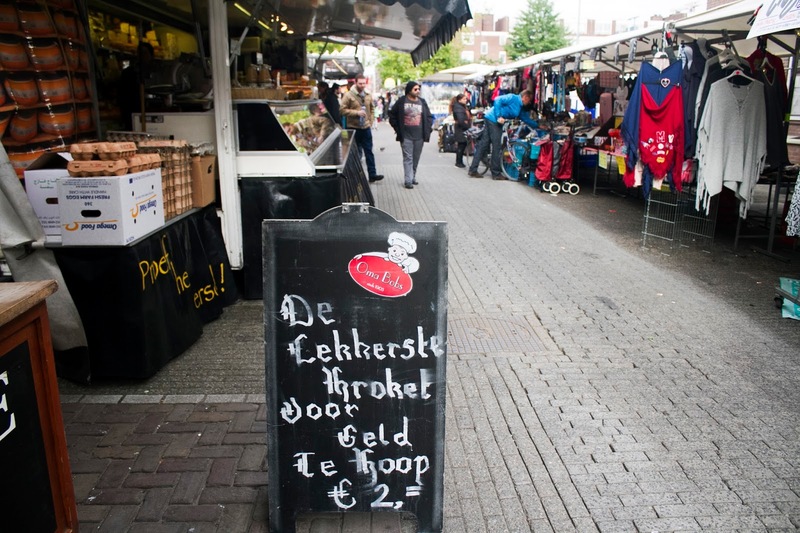 The market is just so varied and what's even better is how much cheaper stuff are from there. 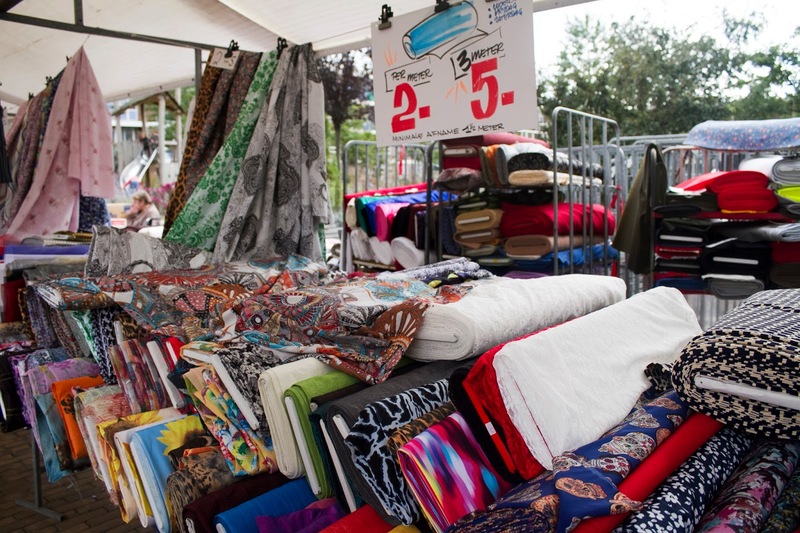 I got myself a 3 metre fabric from this fabric stall to put around my room as a hanging curtain decoration. There were just so many different styles to chose from and many more stalls to see. 3.) 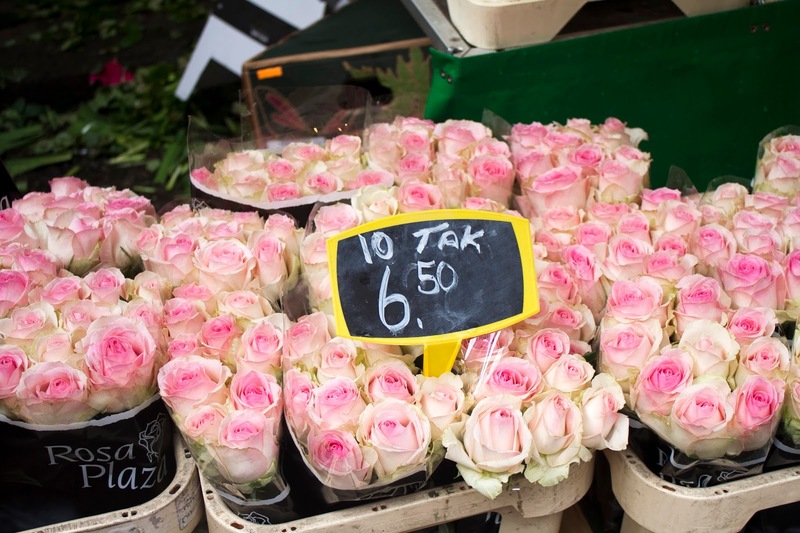 Bloemenmarkt - The flower market where you can buy seeds, pre-potted plants, flowers and souvenirs like magnets, clogs, and so much more. 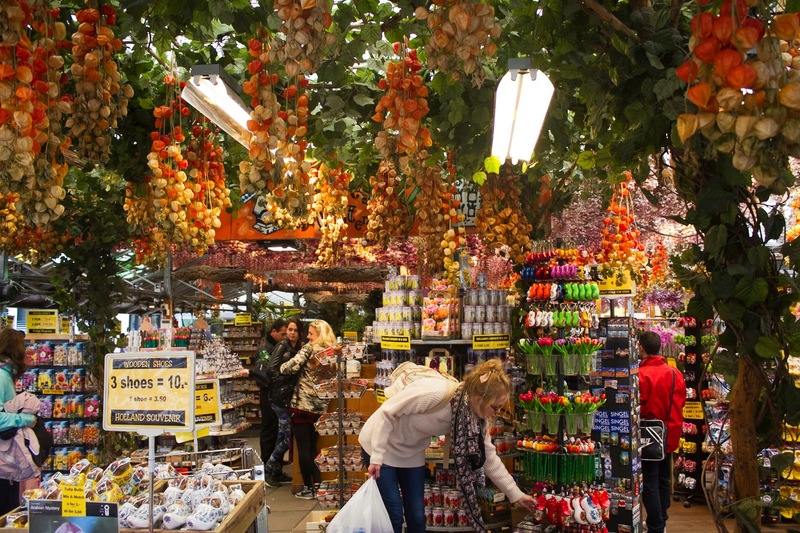 What makes the flower market one of the interesting points and a famous market in Amsterdam is not only due to the abundance of flower array in the market but also as it floats in the water. 4.) 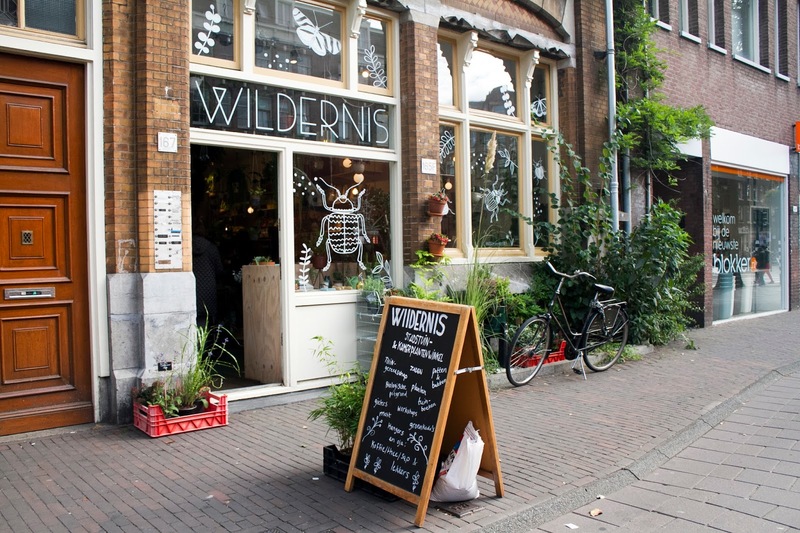 Wildernis - I bookmarked this shop to visit after seeing it featured in an Amsterdam guide post in preparation to my own visit to the city. 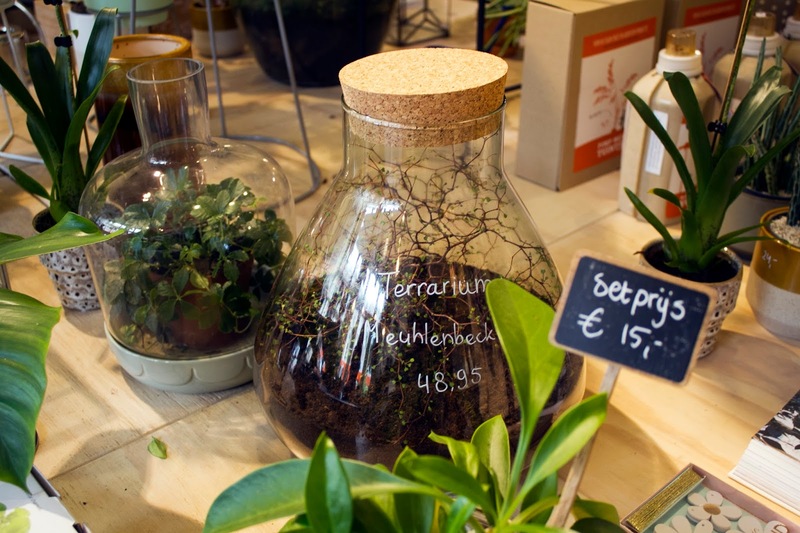 What got my attention with the shop is how quirky and cute the plants are which I wanted to see for myself and maybe get one. The inside is like a greenhouse minus the humidity and warmth. 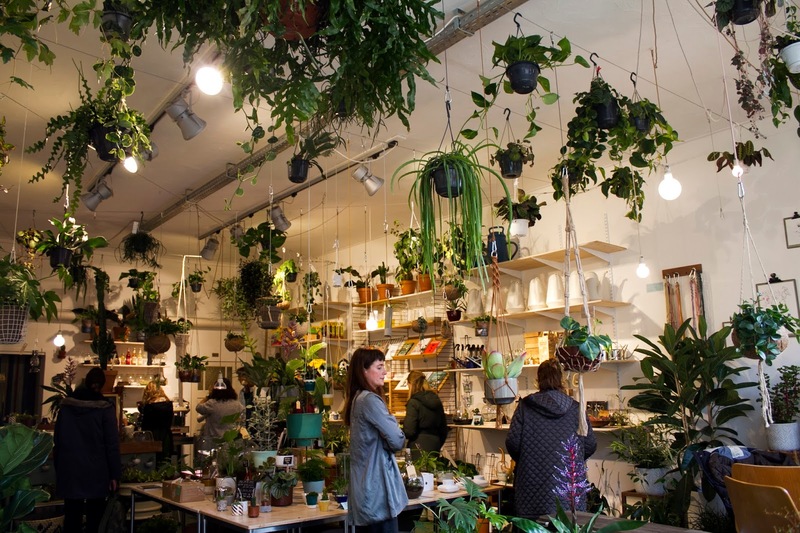 The hanging plants and even the cute potted baby cacti just made for an overall cool indoor plant shop. I didn't get a plant as I was worried of it getting damaged on the journey but if I lived in the city, I would definitely fill my room up with all sorts of greenery from here. Plus they really have some cool and unique plant pots for sale on their own too. 5.) 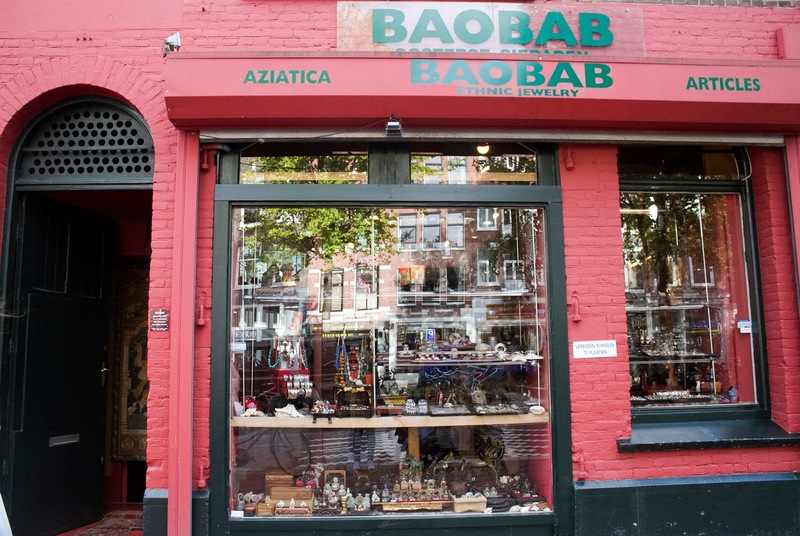 Baobab - another shop we came across with as were strolling through the city. 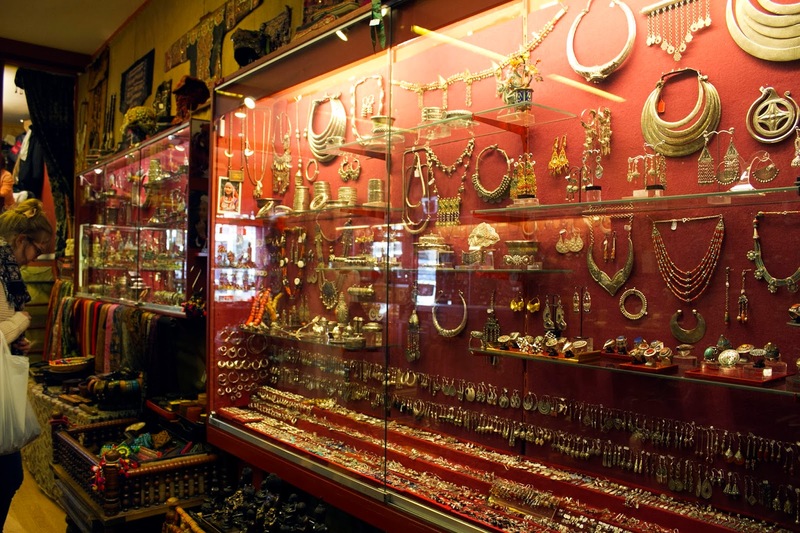 The antique, Middle Eastern and Asian style trinkets and jewelry on their display window and its bold red paint is what caught my attention and urged me to check out the inside. Lo and behold there was so much more goodness inside. I really wanted to get so many unnecessary things from that shop but I managed to restrain myself but oh how beautiful are those jewelry pieces though. 6.) Art Plein Spui Market - Art Market in the street of Spui that we walked pass and just had a little nosy at. 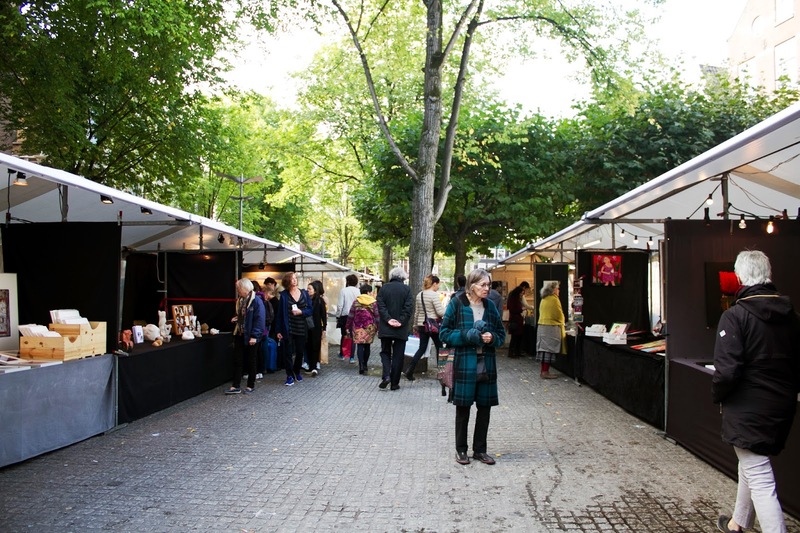 This market is great for art lovers as some if not all of the stalls are artists owned and they use them as a platform to sell their work or just showcase them to the public. 7.) 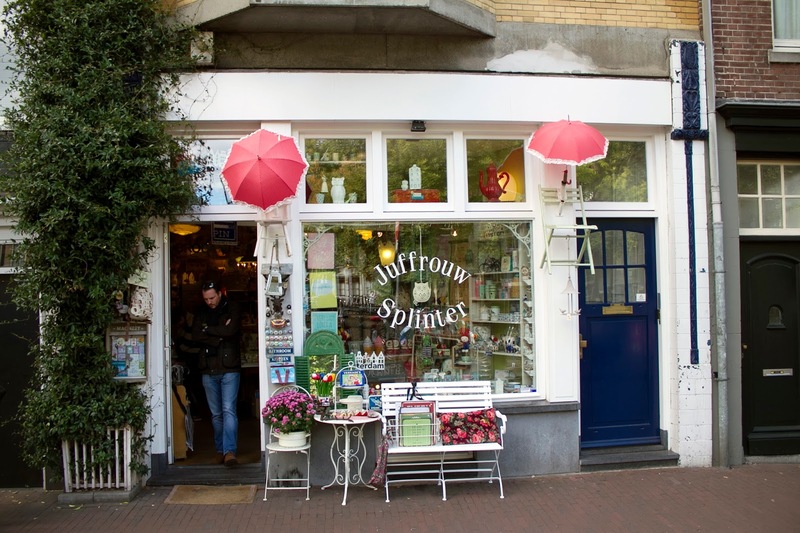 Juffrouw Splinter - a cute little kitsch shop of decorations, nic-nacs, tins, stationary and even homeware items in their downstairs shop. I would just love to fill my room with all sorts of kitsch from here. 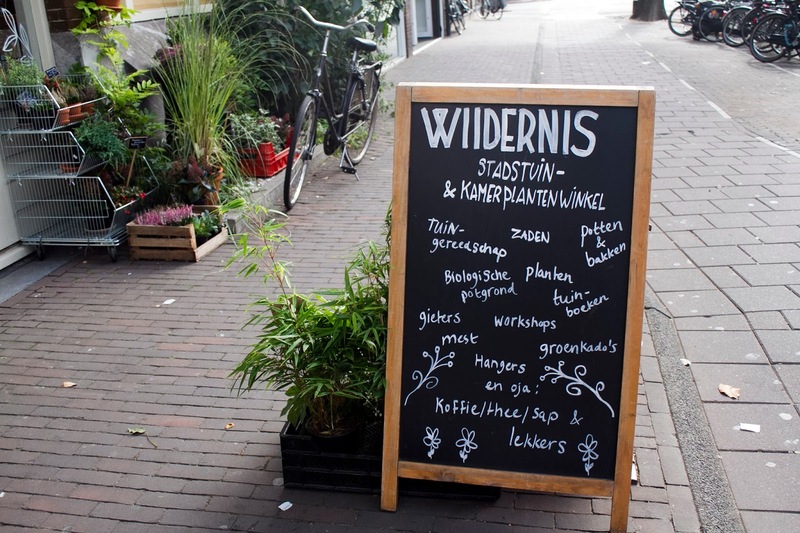 And there you have it, where to eat, drink and shop in the city of Amsterdam. 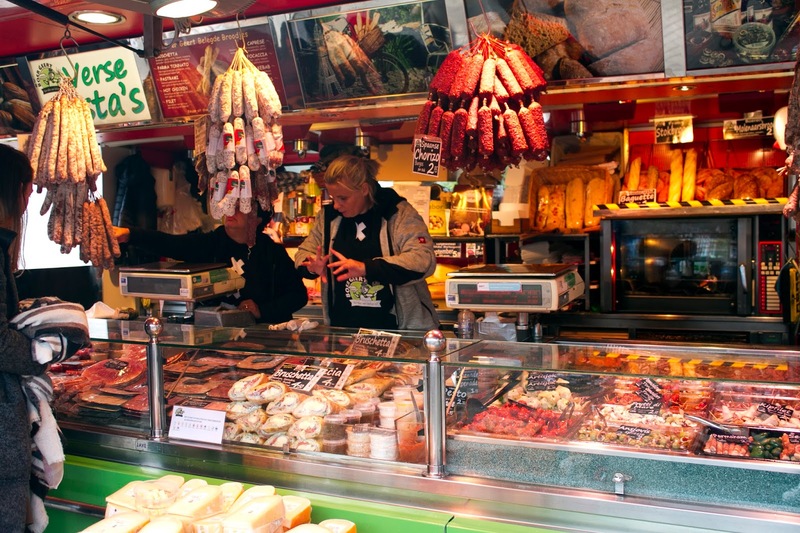 Of course this is only a few of the places you could go, there is so much more to see and do, so many places to eat and drink at and so many shops that this guide does not even cover a smidgen of it. 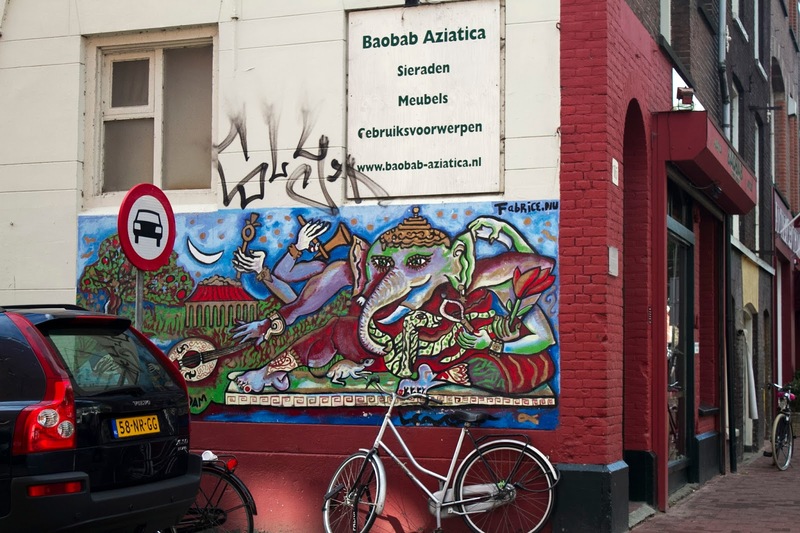 However, I hope this guide helped you and if you do go to any of these places let me know what you thought of it and if you're only in the city for a short time then maybe my other Amsterdam guide can help you. Fantastic guide, thanks for sharing!! So need to go here! Great post!